Many things have happened and are still happening with LA producer/singer JMSN since our last premiere. Christian Berishaj (real name) was the featured vocals on our top album of the year from Kendrick Lamar, good kids, MAAD city, and he recently finished a collaborative album where he produced all of the tracks with rapper Ab-Soul. In addition, Live For The Funk released a song titled "Make It Last" from experimentalist Ta-ku, featuring JMSN on Monday. With all these updates, there is yet another one. We have a remix premiere from this rising R&B artist today. "Fallin", a track from his previous record, †Priscilla† , via White Room Records was reconstructed by a new duo called The Abyss. Their take on "Fallin" gives a dark cryptic effect. 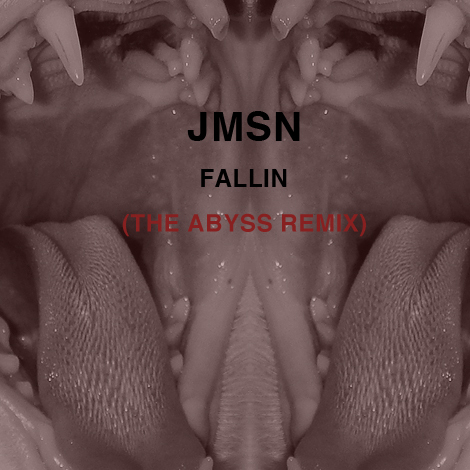 JMSN's voice morphs and lingers around a spine-chilling beat that repeats in hypnotic turns. He recently put out the music video for "Fallin" so take a look below and grab a free download of the remix.